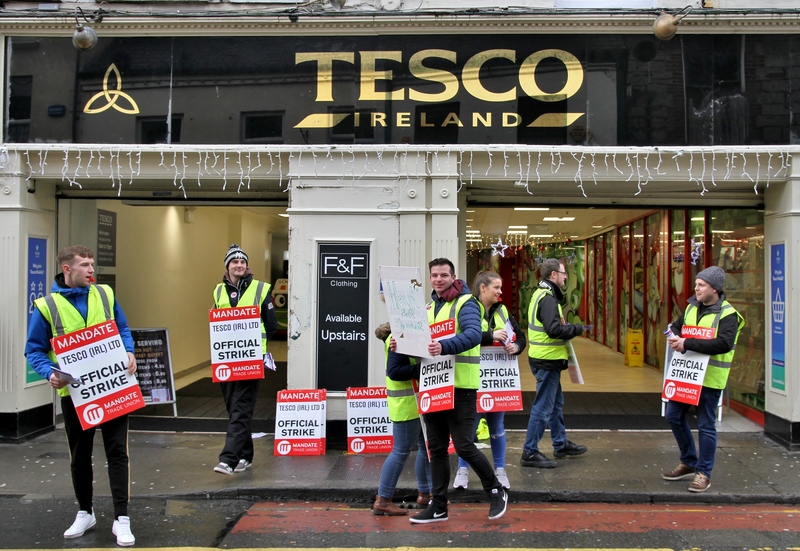 Tesco workers in Sligo, who are members of the Mandate trade union, are on strike today, Thursday. It is the first of two planned days of action, with notice also served for a second on Friday of next week, December 14. Tesco say the store will be open as usual. Mandate members at Tesco’s Carrick-on-Shannon store have also voted for industrial action and served strike notice for Saturday, December 22. 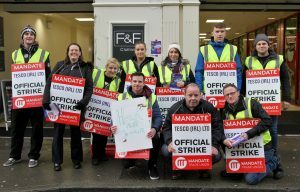 Mandate say that there is a possibility more dates will be added and other stores may join their colleagues in the coming weeks and months “should the company not abide by agreements and allow their workers’ their right to collective representation”. Mandate Trade Union General Secretary John Douglas claimed that Tesco has refused to engage with their workers on pay and conditions, on the removal of canteens and break room facilities, that they have refused to pay some workers a cost of living pay increase and have breached collective agreements. Tesco has claimed that the action is in breach of the company and union’s agreed procedures which are to refer disputes to the Workplace Relations Commission. A spokesperson said that if Mandate proceeds with the “proposed unwarranted one-day strike actions for the two stores, both will continue to remain open to serve customers”.